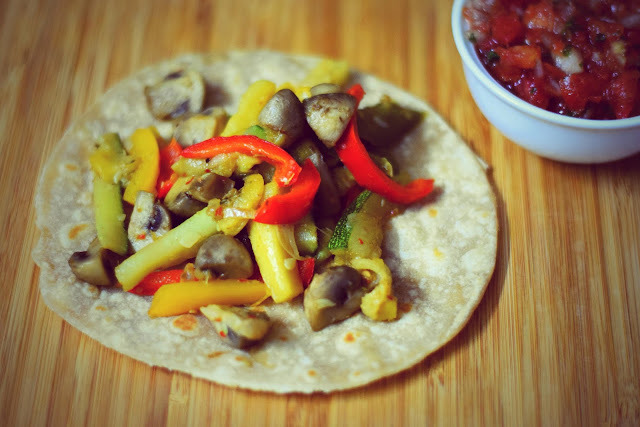 A recipe for an Indian Style veggie fajita !!! 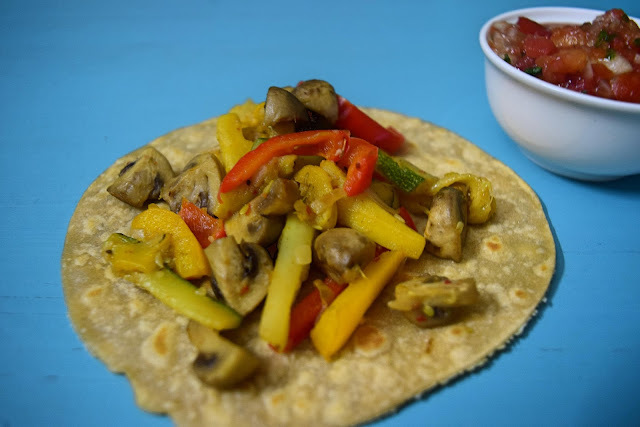 A "veggie fajita" is actually an oxymoron because a fajita is a term found in Tex-Mex cuisine, commonly referring to any grilled meat usually served on a tortilla with guacamole, salsa and sour cream. Here I have used rotis to wrap the vegetables. The rotis are made from whole wheat flour. This makes our veggie fajitas healthy. Heat oil in a pan and sauté the mushrooms till they are cooked. Heat 1 tsp oil and add the onions. When the onions turn translucent, add the vegetables and sauté for a few minutes. 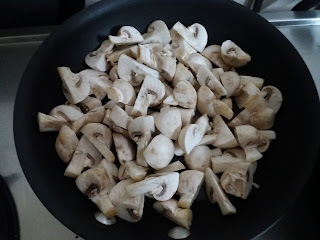 Do not over cook the vegetables. 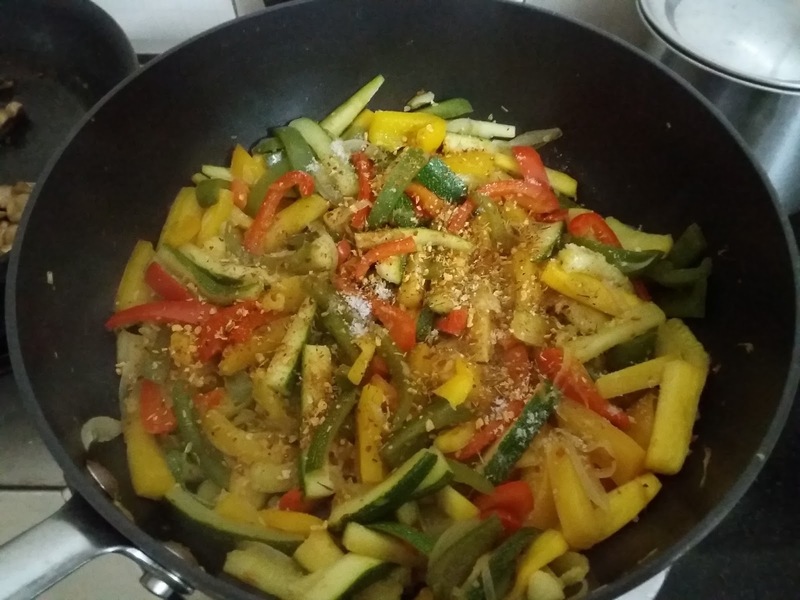 Add Mexican seasoning and salt and mix well. 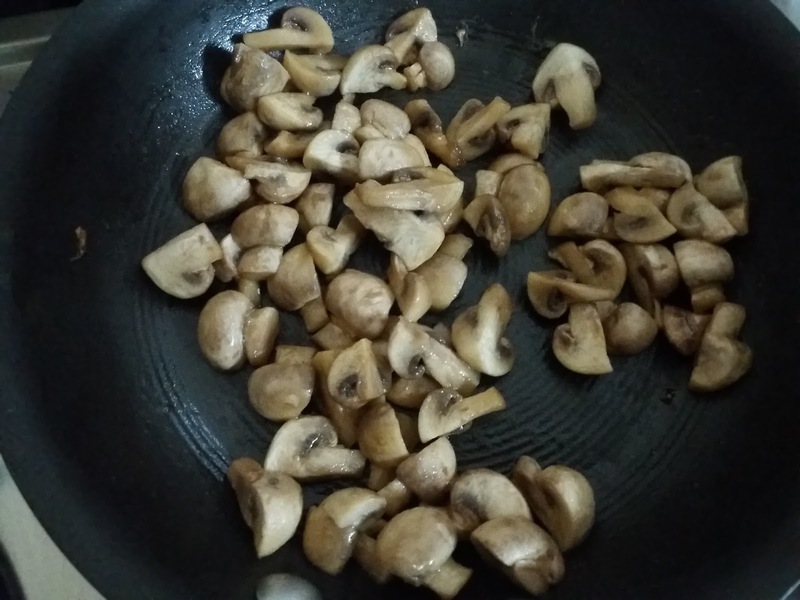 Now mix the mushrooms. Take a roti. 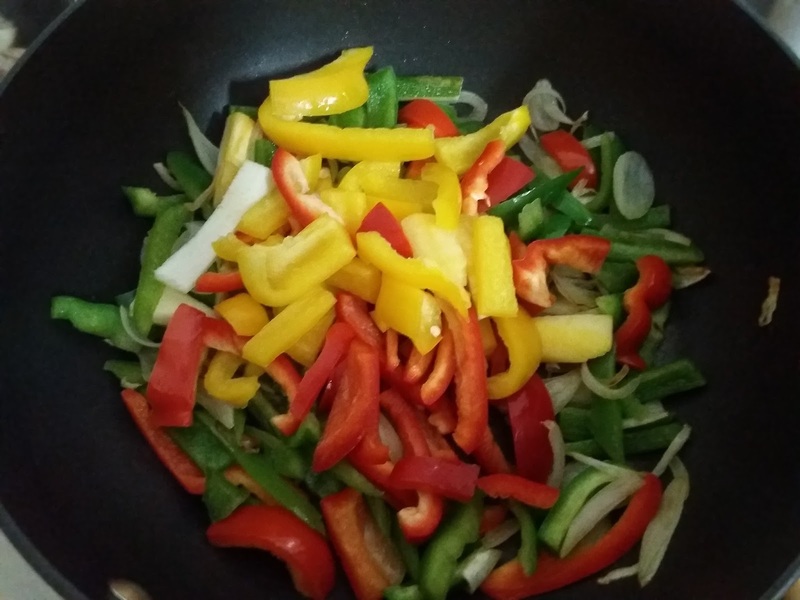 Place the veggies in the middle and roll up the roti. Serve with Salsa.